Comments: One of the finest and most artistic of the scenes of Nubian women, in this case unfortunately a group of slaves waiting to be taken to the market in Cairo. Price: $250 uncolored, $300 colored. 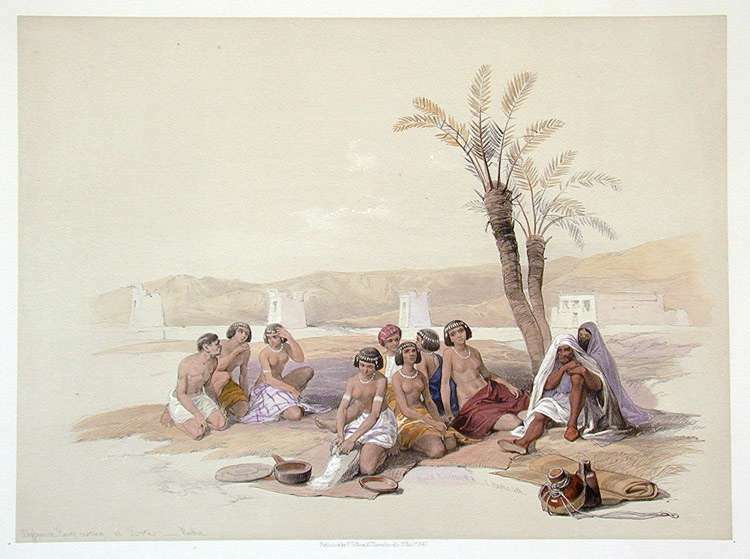 Title: Abyssinian Slaves at Korti. Paper : 16 7/8" x 24"